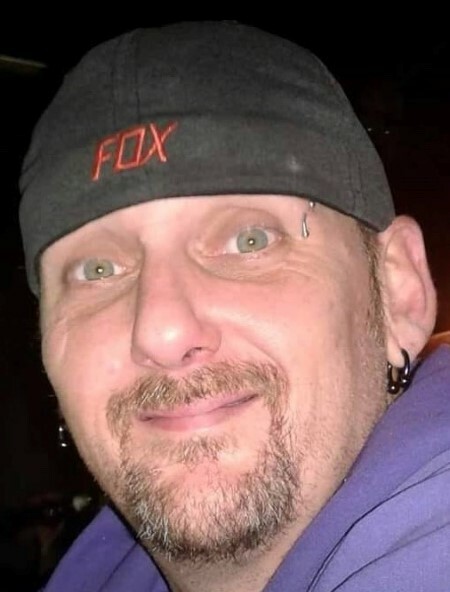 Kiley N. Boggs, 41, of Warren, entered into eternal rest Thursday, March 28, 2019 at home. The cause of death is pending. He was born May 20, 1977 in Orrville, the son of Noble C. and Sharon M. (Stanton) Boggs Woods, and had lived in Ohio all his life. Kiley attended Newton Falls High School and worked as a welder. He enjoyed motorcycles, shooting pool, swimming, camping, and family get-togethers. Precious memories of Kiley live on with his mother, Sharon M. Woods (Thomas) of Newton Falls; three sons: Austin N. Boggs of Warren, Kaden N. Boggs and Brian K. Boggs, both of Newton Falls; a sister, Niobe Trickett (Eddie) of Newton Falls; and a brother, Kabat Boggs of Newton Falls; and other family and friends. His father, Noble C. Boggs, precedes him in death.